Join Stitchin' Heaven and Friends on an 11-night Hawaii Cruise! Cruise and learn from two quilting experts: Kimberly Einmo and Sandra Coffey! As usual, we bring you several quilt projects to work on, taught by amazing and talented instructors and designers in the world of quilting: Kimberly Einmo and Sandra Coffey! Kimberly Einmo is an author, award-winning quilter, designer, international instructor and quilt judge. She has written five books published by the American Quilter’s Society including her newest, Modern Quilts & More, plus Jelly Roll Quilts & More, Jelly Roll Quilt Magic, Precuts Bonanza and Quilt A Travel Souvenir. She is the host to four popular online classes on Craftsy.com. She has also appeared on television and radio programs and has written many articles and designed original patterns which have appeared in numerous publications. Kimberly also has a signature line of innovative tools including the EZ Flying Geese Ruler, EZ Jelly Roll Ruler, EZ Hearts Cut Tool, and the EZ Pineapple Ruler. 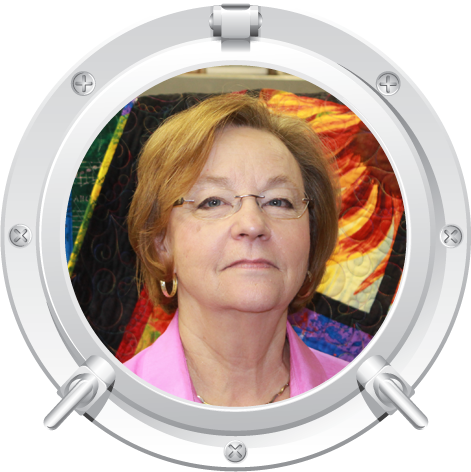 Kimberly is a member of the prestigious group of Bernina Sewing Ambassadors of America, and Pfaff Sewing Stars. Kimberly has traveled the world including many quilting cruises. She loves to meet quilters and share the joy and passion of quilting with everyone! 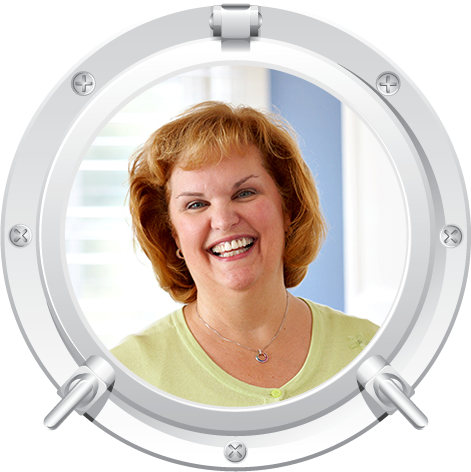 Sandra is one of our most beloved local teachers and is Judy Niemeyer Certified! She joined our Stitchin' Heaven family in 2006, and is now our Block of the Month manager. Sandra started quilting in 1976 and is always open to new techniques and patterns. She began teaching in 1995 and loves to share the skills needed to pass on this beautiful tradition. Sandra is also a long arm quilter. She does beautiful work quilting many of our shop models, several of which, have been featured in magazines. 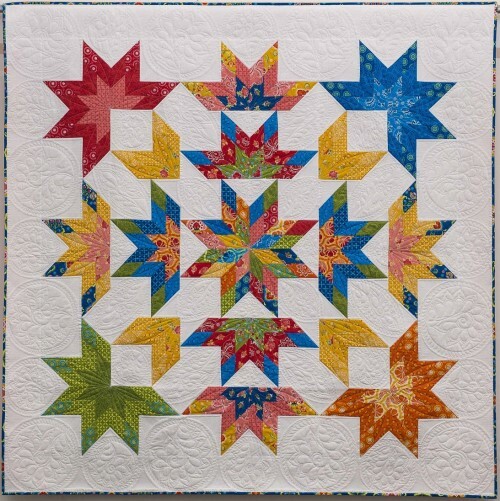 Kimberly will teach you how to strip-piece and cut diamond building blocks from strips using the EZ Jelly Roll Ruler using no “Y” or set-in seams, and from there you’ll design your very own, completely unique Lonestar variation quilt. Although the first part of the class focuses on fast and efficient cutting and piecing diamond units, the latter part of the class will focus on design elements and the almost limitless possibilities for designing your own quilt layout using diamonds. The real magic comes from the fact that the quilt is assembled using straight-set blocks – not diamond wedges or blocks on point. 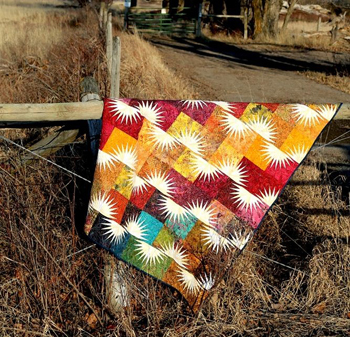 This is an eye-opening class for anyone who wants to create a completely one-of-a-kind quilt with a Lonestar twist! Finished Size is 70” x 70”. The Sail 'n Sew Fabric Pack will include the EZ Jelly Roll Ruler required for this project. Don't you just LOVE the work of Judy Neimeyer? We all love it but for some of us it is a bit intimidating. Sandra will be with you every step of the way to get you on the right Judy-track with this beautiful project called "Haystacks". You will learn the basic techniques that make sewing a Neimeyer project so rewarding. Our Sail 'n Sew fabrics will be batik prints similar to the colors shown in the photograph. So whether you are a Judy-novice or an expert you certainly will enjoy this class with our Certified Instructor! Finished Size is 48" x 60". Our incredible Sail 'n Sew fabric pack includes all of the fabrics and patterns for your projects and they are pre-cut so all you need to do is sit down and sew! The price of the Sail ‘n Sew fabric pack is $300.00 and it includes both projects for this cruise. Individual kits can be purchased for $150.00 per project. If you would like a Sail ‘n Sew pack, just let us know when you make your Reservation and we'll have a kit waiting for you on the ship. Order early as supplies are limited. Want to cut your fabric yourself? We do have an option where we will send you all the fabrics and the patterns for all three of the projects. The price for this is $250.00 and we will mail it to you at least 60 days before the cruise. You can then cut your fabric and bring it and your patterns with you. If you do not wish to purchase a Sail 'n Sew Fabric Pack, remember to pack your own fabrics. We will not have fabrics available for purchase aboard the ship. You will need to bring your fabric pre-cut and ready for class. You must also bring your pattern or book. These can be purchased here. We will not have patterns for purchase on board for the classes. Click here for the fabric requirements and cutting instructions. We will begin our ten-night Hawaii Cruise out of Vancouver, British Columbia. Most recently ranked by The Economist as the number one most liveable city in the world, Vancouver is a picturesque city surrounded by the waters of the Pacific Ocean and the snow capped peaks of the Coast Mountain range. Vancouver is Canada's third largest city with many unique neighbourhoods to explore including Gastown, Yaletown, Chinatown and the West End. Visitors can enjoy world class shopping, gourmet meals, outstanding live entertainment, sporting events, theatre, outdoor adventure and world-class attractions. The former whaling village, Lahaina preserves its 19th-century heritage alongside funky shops, boutiques, galleries and gourmet dining. It is also the gateway to the distinctive volcanic landscapes of Maui, known as the Valley Isle. Explore Haleakala Crater, a dormant volcanic crater Hawaiians once considered one of the most sacred places on the island. Haleakala Crater is the highest point on Maui at 10,023 feet above sea level, so you'll have unparalleled views of the island from the summit. The volcano last erupted in 1790. However, evidence of volcanic activity from long ago abounds in the stunning streaks of gray, red, yellow and black that mark the flow paths of lava, ash and cinder. The Big Island. The Orchid Isle. The Volcano Island. You'd expect a place that has inspired so many descriptive nicknames to be a land of rare beauty and wonder. Such is the island of Hawaii. Its 4,050 square miles are home to the snow-capped, 14,000-foot peaks of Mauna Loa and Mauna Kea, the fiery landscape of Hawaii Volcanoes National Park, vast macadamia nut plantations, black-sand beaches, orchid-filled forests and posh resorts. Explore the wonders of Kilauea Volcano up close on a walk through Hawaii Volcanoes National Park. You'll be amazed by the incredible beauty and power of this active volcano. Located along Hawaii's western shore, where the slopes of Mauna Loa and Hualalai meet the sea, the Kona Coast is a region of endless lava fields and golden Pacific sunsets. The clear waters are perfect for diving, snorkeling, and deep-sea fishing. At the heart of the Kona Coast lies the charming resort village of Kailua. Because two other "Kailuas" exist within the state, the Big Island's Kailua is often called Kailua-Kona for clarity. Kealakekua Bay, where Captain James Cook lost his life, is one of the best snorkeling spots on the island. The area is a state park and conservation site, teeming with undersea life. It's a great place for both experienced snorkelers and novices to explore the marine world. The Garden Isle of Kauai is the tropical paradise that dreams are made of: a land of towering ocean cliffs and impossibly green valleys, pristine rain forests and cascading waterfalls as well as some of the world's most photographed beaches. Take a helicopter ride over Waimea Canyon, the valleys and cliffs of the Na Pali Coast, the Valley of the Lost Tribe, and the wettest spot on earth, the Waialeale Crater. Along the way, keep your eyes open for familiar scenery from popular movies, including Jurassic Park and Raiders of the Lost Ark. Our cruise will come to an end in Honolulu, Hawaii. Hawaii's capital is indeed the jewel city of the Pacific. From Diamond Head and the world-famous beaches of Waikiki, to the inspiring memorials of Pearl Harbor and the Punchbowl National Cemetery, to the only royal palace ever constructed on U.S. soil. By far the most popular destinations in Oahu, Pearl Harbor and the Arizona Memorial are moving tributes to important historic events. Experience the serenity of the Punchbowl National Cemetery, featuring the "Courts of the Missing." Hungry for a dazzling at-sea experience that combines sleek swiftness, panoramic vistas, and an array of our best new dining options? Look no further than Radiance of the Seas®. With acres of glass enclosing the nine-story central atrium, elevators facing the sea, and floor-to-ceiling windows throughout, you'll never be at a loss for an incredible view. Plus, you can choose from eight different dining experiences, ranging from casual eats at Boardwalk Doghouse, to the family-style Italian fare at Giovanni's Table, to the sizzling skewers of Samba Grill Brazilian Steakhouse. Other features include VIP guest lounges, and an outdoor, poolside movie screen showing first-run movies day and night. Whether you seek adventurous activities, relaxing moments, or fine fare, Radiance of the Seas has the features to please every taste. Port charges, taxes & fees of $401.30 are not included. 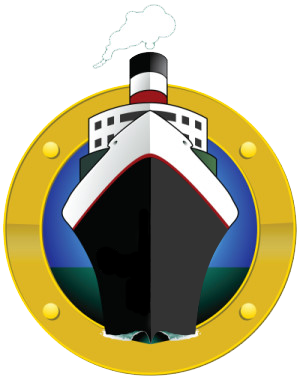 You will be responsible for getting to the ship in Vancouver, BC and from the ship in Honolulu, HI. Note: We will notify you once the cruise has reached the minimum guest requirement. Please do not make airfare reservations until the cruise is confirmed.